I have a special treat for you today! I'm sharing one of my favorite finds at High Point Market! Julie lives just outside of Charlotte, so she is a home-time girl! How I have not discovered this line before is a mystery to me. This shoe line isn't just another shoe line; this line is all about comfort without sacrificing style. I wore my first pair of Julie Lopez shoes all day at High Point market on Thursday, and my feet never hurt! If you have shopped High Point market, you can vouch for me when I say I spent the days there walking all day. I'm not the only one who loves Julie Lopez shoes. Oprah does too. This line made "The O List" last year! When the creative director of a company has this kind of fashion style, you know the collection is going to be fabulous! 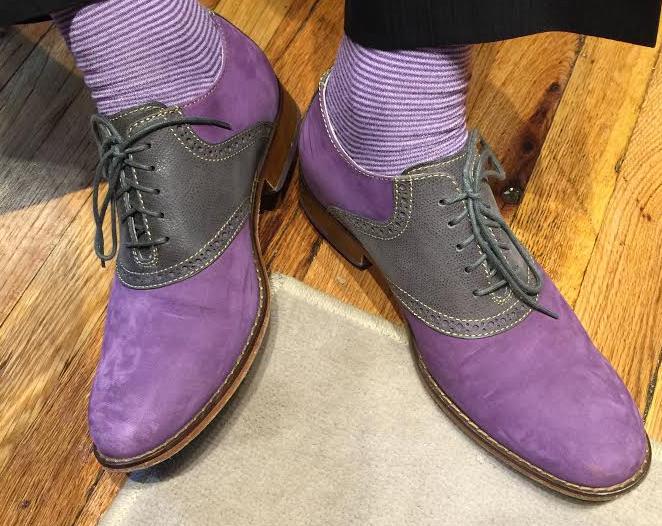 Those amazing shoes belong to Bill Herron, creative director of Woodard Furniture. Woodard has been creating quality furniture for over 140 years. I had heard the name for years but had never taken the time to investigate this industry veteran. I must say, I really like what I found. Woodard craftsmen design and manufacture products loyal to the timeless art of quality furniture design and construction. Not only does the company continue to use the age-old art of hand forming, but also employs the latest in high-tech manufacturing processes. Woodard remains committed to creating products that will provide years of enjoyment. 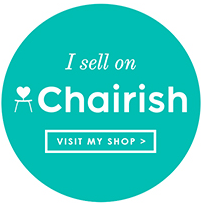 Quality furniture that is USA made! Check out some of my favorites from the collection. Don't Miss jdouglas If You are at High Point Market!!! One of my favorite showrooms to visit during High Point Market is jdouglas! Doug Self has curated a top notch group of brands to delight and please buyers who demand the finest in home decor and furnishings. 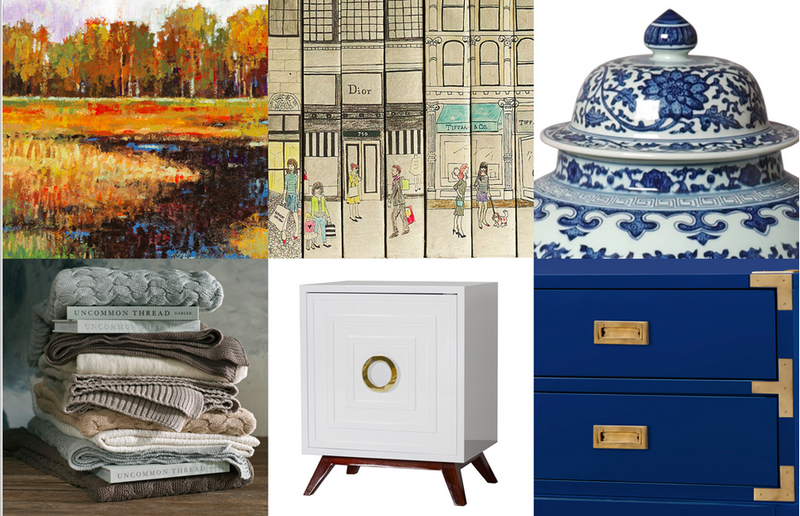 There is always something fun going on in the jdouglas showroom and this market is better than ever! You know the old song "you've come a long way baby, to get to where you got to today", well this is totally true of my show house kitchen, breakfast room and mudroom. We are now in the final stages of the production! 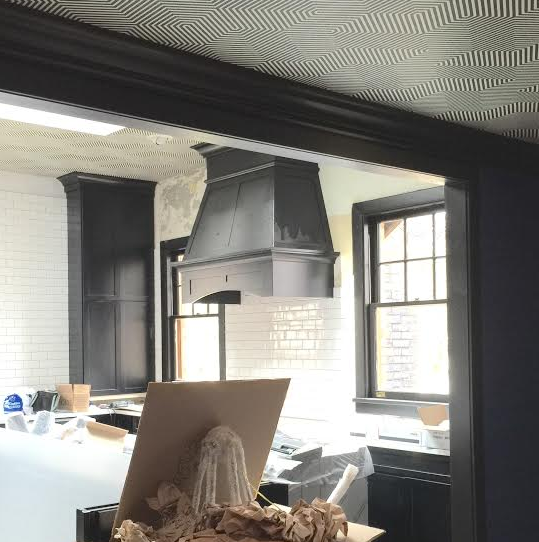 I love the black Marsh Cabinets, Cole and Son wallpaper peeking from the ceiling and white quartz WilsonArt "serene" countertops, not to mention the Ann Sacks glossy white subway tile on the walls and Pratt and Lambert Black Noir paint on the trim! I install on Wednesday and Thursday of next week and couldn't be more pleased with how things are progressing. Let's take a look back so that you can see how far we have come!